Datawatch provides a data to visualization platform that provides connection to a very large and diverse set of data sources. It does the difficult things like extracting formatted data from invoices or PDFs, as well as accessing the somewhat more straight forward files, databases and other structured formats. It also differentiates itself with support for real-time streaming data sources, which can be viewed in real-time dashboards. The data visualization capabilities are largely due to its acquisition of Panopticon in 2014, and specifically the real-time capability – and it’s very advanced. Several discrete products are available from Datawatch, although none at the time of writing are available as a cloud service. Datawatch Designer supports the creation of charts and dashboards, and direct connection to streaming data and the more usual data sources. Datawatch Monarch supports data preparation using highly diverse data sources – from PDFs to HTML to common log formats. Once prepared the data can be used by a wide range of data visualization and BI platforms (including Datawatch Designer of course). Datawatch Report Mining Server is a web based platform which allows data from enterprise content management systems to be transformed into a format suitable for analytical purposes. Datawatch Server provided an enterprise infrastructure for self-service analytics. It offers good scalability, and data governance capabilities. There are three editions which add enterprise functionality in the domains of collaboration, sharing, automation of workflows and governance. It is no secret that Datawatch has struggled over recent years, although it does seem to be turning a corner. In many ways it was a product before its time, and only now, as organizations start to come to grips with the islands of analysis brought about by easy-to-use data visualization tools, and struggle to make sense of diverse data, does the Datawatch portfolio look somewhat more attractive. Dashboards, charts, tables, maps and other visual artifacts can all be created using a drag-and-drop and menu driven interface. Datawatch supports many visualization types, and the ability to connect with streaming data sources makes the platform attractive to firms in financial services particularly. Although the streaming data capability is likely to become more sought after as businesses start handling Internet of Things streaming data. Datawatch Designer is the primary tool used to build visualizations. It can connect directly to streaming data and supports real real-time data visualization – not just frequently scheduled updates. A large number of connectors are supported, and for some unusual data sources. These include message brokers (Active MQ, Apache QPID and Sonic MQ), complex event processing (CEP) engines including Kx Kdb+ Tick, OneTick CEP, Oracle CEP, SAP Sybase ESP and Streambase, tick databases, OData sources, and the usual suspects – most relational databases, flat files and data prepared from multi-structured sources via Datawatch Monarch. Since visualizations can be active they also support various alert and notification systems – when rules are met or thresholds breached. Datawatch Server provides an enterprise platform for sharing, collaboration, governance and automation of tasks. For visualizations this means enterprise wide deployment of visualizations based on user roles, or just simple permissions. The visualizations can be viewed through any web browser, providing natural support for mobile devices. This functionality is enabled through the Visualization Edition within Datawatch Server. Datawatch Monarch is a quite extraordinary product. It does much of the dirty work that most of us would rather ignore, making data available from otherwise impenetrable data sources. PDF documents, EDI data streams, HTML, spool files, log files and other multi-structured data sources can all be handled by Monarch, giving organizations a much richer source of data for analysis and visualization. Of course it also supports the data sources that most other platforms support – relational, flat files – but the ease with which complex data can be prepared for analytical use is quite unique. Issues such as confidentiality are easily dealt with by the removal of sensitive information. There are three Monarch products. Monarch Personal is a free version that is throttled down to support fewer data sources. Monarch Classic supports rather more data sources, and Monarch Complete comes with Salesforce and more database connectors. Datawatch Server offers additional capability, and particularly the Automation Edition. As the name suggests it supports the automation of many data preparation tasks, either through a schedule or based on event triggers. Tasks are created in a visual workflow designer, and the output is made available as needed to those involved in analytical tasks. Data held in enterprise content management systems can be prepared using Datawatch Report Mining Server. This is a web based solution supporting a variety of ECMs, including IBM Content Manager on Demand, Microsoft SharePoint, Hyland OnBase and ASG-ViewDirect. 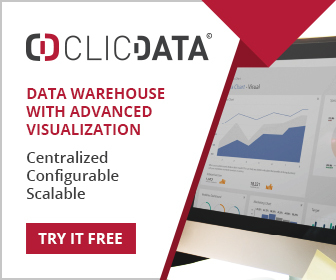 The Content Edition of Datawatch Server provides an enterprise class repository to securely store, manage and control access to all of the assets in the analytics workflow. Assets like data preparation models, data discovery workbooks, and source content that is not typically managed, including documents and XLS/CSV extracts. Users can retain content with version tracking for complete data lineage and regulatory requirements, and also mask or obfuscate sensitive information to prevent data breaches.